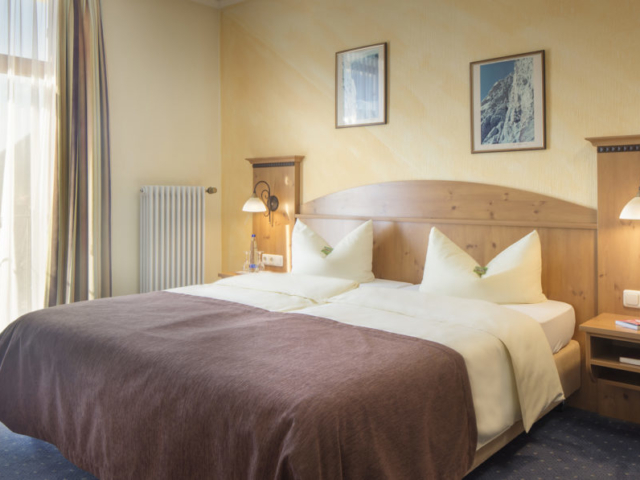 Our 49 rooms offer fabulous views over the Alps; many of them even have balconies. 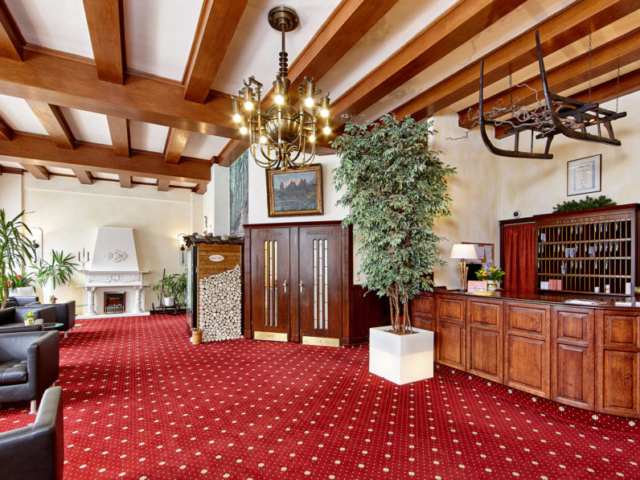 The rooms are cosy and lovingly furnished and feature bath/ WC or shower/WC, hairdryer, Satellite –colour-TV and phone with fax connections. Enjoy the ambiance of our spacious sun terrace while our restaurant team is happy to treat you. Our guest parking lots and bus parking are situated right by the hotel. 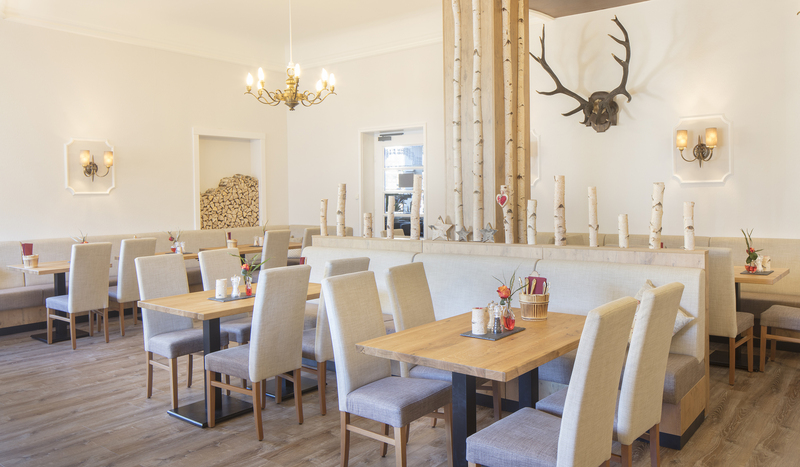 In addition to our rich breakfast buffet, our stylish restaurant ‘Hubertus’ offers Bavarian and international specialities for lunch and dinner –our chef guarantees for a varied menu with seasonal highlights. In the afternoon, there is coffee and cakes. Whether you would like to make a short ‘refuelling’ stop on your journey through, whether you want refreshment on your daytrip or spend a sociable evening with music and dance – it is our pleasure to serve you! 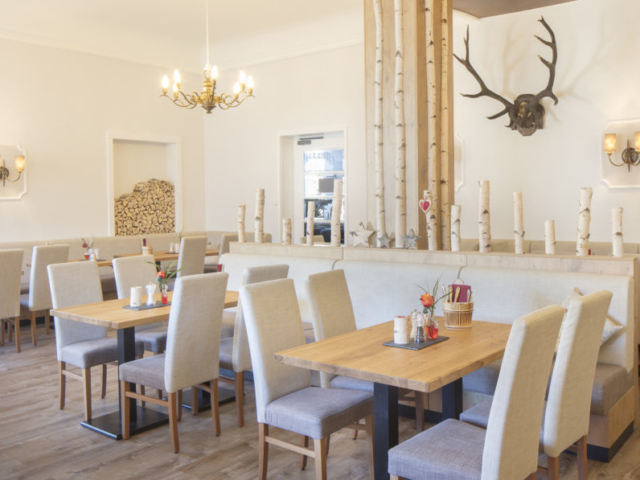 We at the ‘Hubertus’ also arrange family celebrations and works outings for you. Speak with us. We also have special offers for group tourists and for your travel agent.